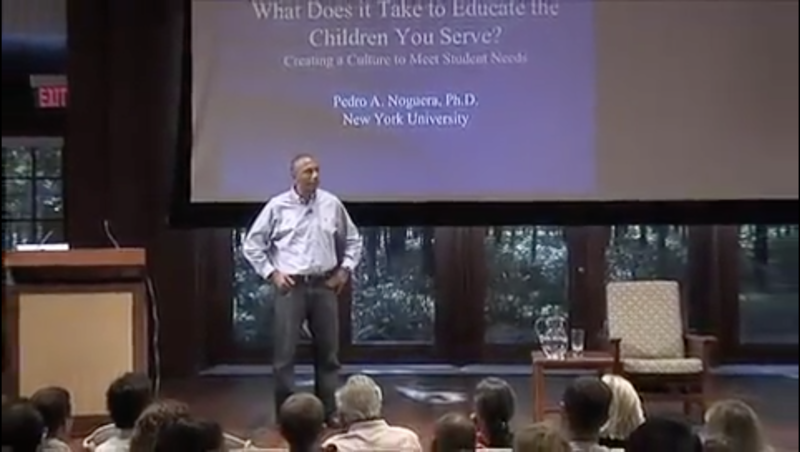 In 2009, Dr. Pedro Noguera, distinguished professor of education at University of California, Los Angeles, and renowned education scholar and activist, spoke on the topic of school culture and how cultural differences should be acknowledged and addressed in the classroom. Below is an excerpt from his presentation. Click here to watch or read a transcript of Pedro Noguera's full presentation to Ross faculty.